I mean, somewhere. In old series, or new, maybe comics? Darkwing Duck and Scrooge McDuck have met on several occasions. In The Legend of the Chaos God (1994) Scrooge hires Darkwing Duck to recover an artifact. At the end he and Darkwing are seen in the same room together. 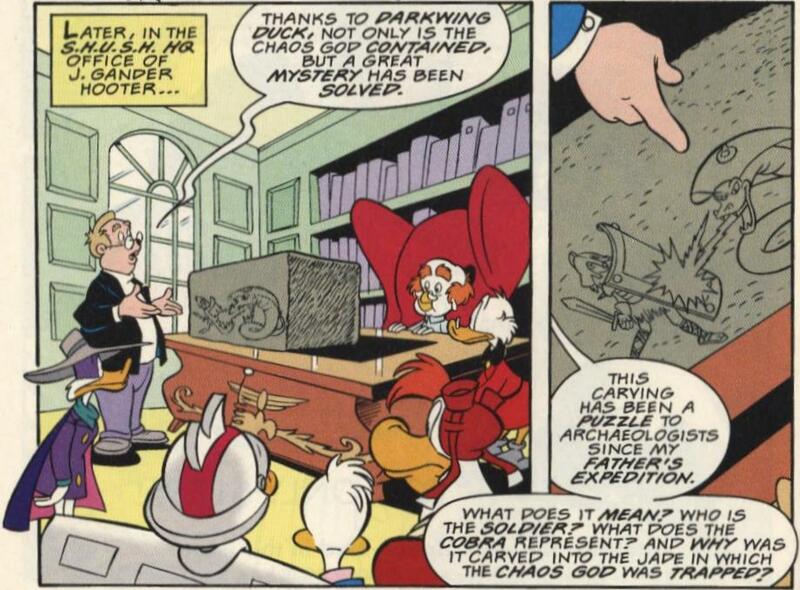 Disney Adventures - July 30, 1994: "The Legend of the Chaos God"
In Dangerous Currency (2011) (starting in Duck Tales #5 and #6 and ending in Darkwing Duck #17 and #18) he and Darkwing Duck have several conversations. Ducktales #6, "Dangerous Currency, Part II". Not the answer you're looking for? Browse other questions tagged disney ducktales darkwing-duck or ask your own question. Are Darkwing Duck and Ducktales set in the same universe? In what issue can you find the Duck Avenger Robot and see its interior? How can Scrooge McDuck dive into money without hurting himself? What do we know about Huey, Dewey and Louie's parents? 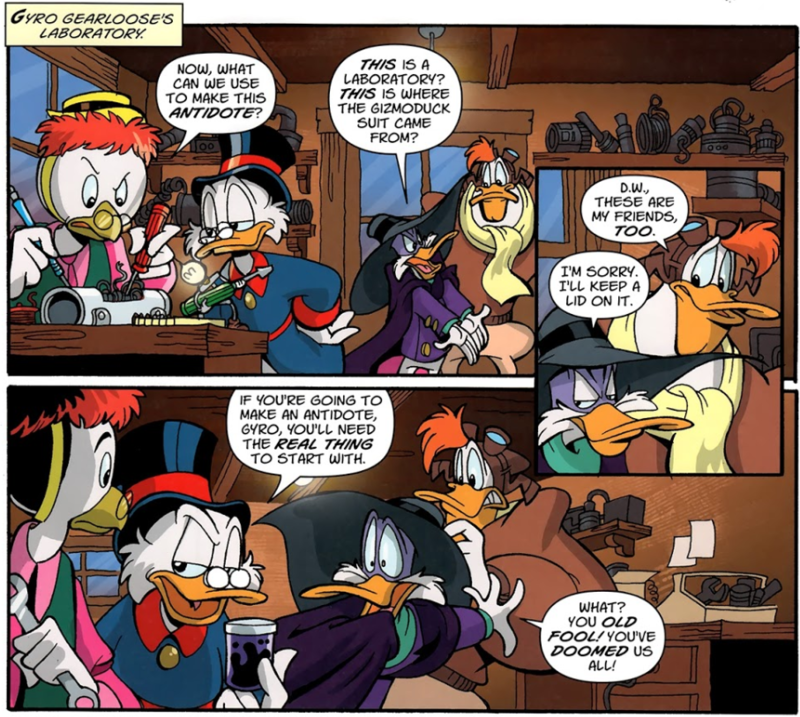 In the Duckverse, do we ever see any other creature besides for Scrooge successfully swim in money? Did Ducktales actually ever rewrite history? Does Mickey Mouse exist in the Ducktales universe (Or even the general Duckverse)? What does this code from Ducktales mean?